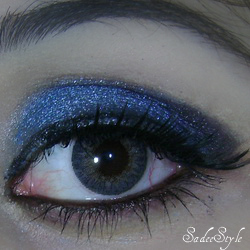 Although I've pretty long eye lashes still i fall for false lashes all the time, i always love to wear falsies, sometime eye mascara fail to give the proper result what they claimed too and do not separate the lashes also clump my long lashes with each other so i find solution in wearing false lashes which looks more professional and stylish also we can have them in different styles and shapes i prefer thick eye lashes on long one so today's hunt is mister mascara Full lashes kit comes with two pair of eye lashes, choose between dramatic thick lashes for evening or a natural look for day wear. 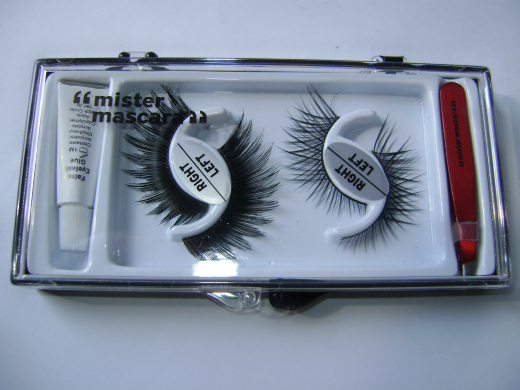 Each kit contains 2 pair of false eye lashes along with mini tweezers to add in application and Lash adhesive glue for applying lashes. Honestly i do not like the tweezers so much it's just normal one but the lash adhesive which comes with the kit is totally useless and in very low quality i used mine adhesives to apply lashes which i brought from some local drug store. 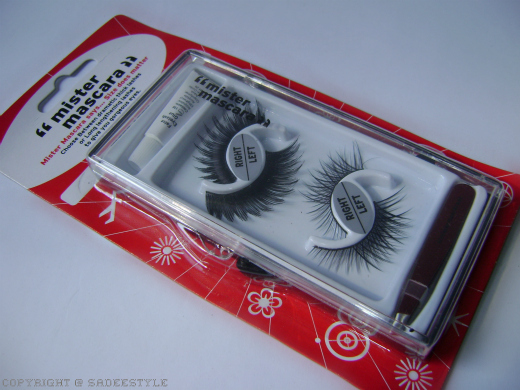 I love thick lashes the most so though to try the thickest one first and as you can see in the image they look so beautiful and natural also they are not extra long or look false that was really fun to wear them and the plus point is these lashes are very light weighed you wont even feel like you are wearing false eye lashes whereas there are some other thick lashes always bothered my eyelid while wearing them i felt a heavy weight on my lid which i hated the most sometime i can not able to open my eye properly but it's extra lightness made it a bit complicated to put on, whenever i tried to apply them they turned and glue spread on the lid but with little care you can fix it up properly also these eyelashes do not looks durable though i wore them just once and can noticed the falling, price is also high £10.00 for each kit and they will approximately 1500 PKR but still i like them they are very well shaped and looks gorgeous and natural on eyes so would defiantly recommended. these are so beautiful, exactly give the natural look. 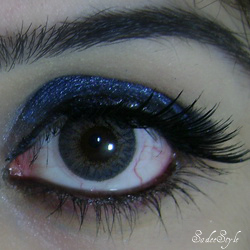 well do share 2nd one also, want to see how these dramatice lashes looks like.. I love how they look on you. Your eyes look gorgeous.